This morning, I received via WhatsApp this photo of Mr. Mohammed Al-Fraih in his office. It took me a few seconds to understand why I got this picture and then I saw my painting. I hold a very special connection with people who acquire my work, and today, Mr. Fraih has moved into a little room inside my mind and heart. Thank you :). How funny!! he’s my uncle.. 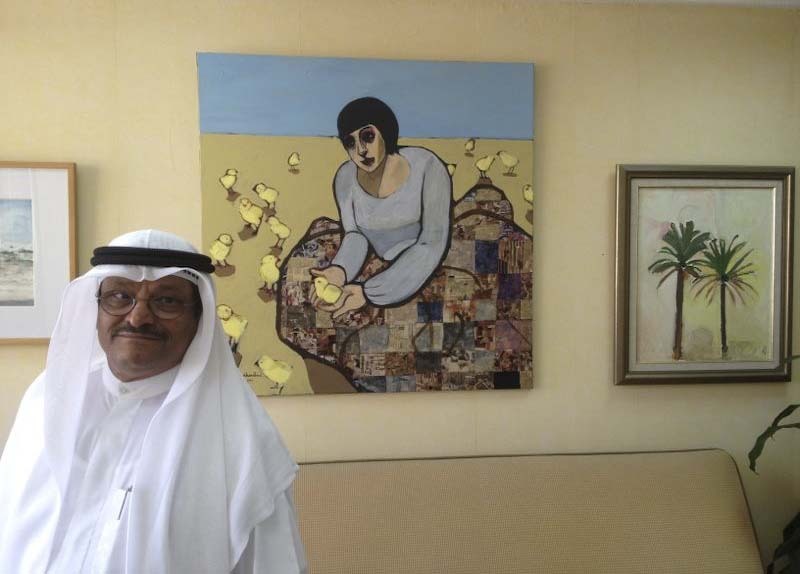 I was so surprised to see him on your blog..
It’s a great painting Ghadah, this gentleman has good taste and a lovely sense of appreciation. What a nice gesture.